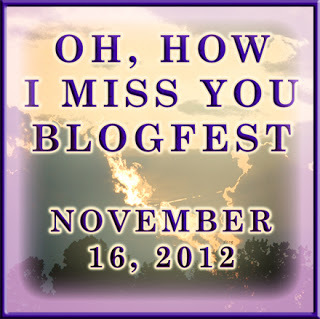 One of my favorite peeps of all-time, Alex J. Cavanaugh, is an instigator of yet another blogfest. This one I can handle! Ann Parker who writes the marvelous historical mystery series set in Leadville, Colorado. The Silver Rush Mysteries blog is so... dead. Ann, where are you? My own fault I don't visit Susan Wittig Albert's blog more. She always has interesting updates about her life in the Texas Hill Country, and what's new with her latest novels. Yes, she usually is cranking out at least three books, and the latest is a novel exploring the life of Rose Wilder Lane and her mother, Laura Ingalls Wilder. Another fave blog I miss is Crunchy Chicken. I do stay caught up with this author on Facebook, but still... you know that good posts like the most recent one are worth it to fans, right? The Little Pickle Press blog, because I helped bring it to this state of wonderfulness over the past two years. It's a blog any company can be proud of. I certainly am! If you have children who are readers, do bookmark it and visit often because they have great specials on their new releases. I'd also miss Pat Bean's blog. Pat travels the country in her little SUV with her pal, Pepper and shares stories of her adventures. She's writing a travel memoir that I'm sure will be a bestseller some day. Finally, a group blog because I love them. One of my faves is Jungle Red Writers because these are authors I read, they post regularly, they write really well. Oh, I'd miss them if they were gone. Please don't go away! Okay - onward to discover more great blogs. What are your favorites - leave me a comment!